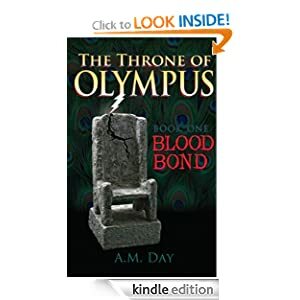 A Thursday post of excerpts and updates from Throne of Olympus (TOO) series! To know their story is to unravel it from the beginning. “My king’s heart broke after the death of his sister, but it shattered the day he learned of my betrayal. This was one of the most sorrowful and difficult times we ever had to bear. “There was a soggy chill throughout Mt. Olympus that day. He found me standing in the corridor. I watched as he held onto the Temptress Allura by her neck. The deceit had been exposed. He had heard it from Allura’s lips. “The anger in his eyes flared forth like the red glow of the setting sun. He flung Allura to the ground. She moaned in pain after hitting the hard, cold stone. The more I tried to explain the more it angered him. He knew of my trips to Under Earth and my agreement with Queen Persephone. “A streaming force of thunderbolts began to blaze from his fingers. The power of Zeus coursed through him stronger now as he struck and showered crumbled stone down around us. He threw one hand high in the air and pointed in my direction. I couldn’t move; partly from the fear of his rage and partly because I knew he wouldn’t hurt me. At least I hoped he wouldn’t. He hesitated with sadness in his eyes, but also reproach. Finally, he struck the wall behind me. It didn’t matter that the Unworthy played a dreadful hand in his sister’s unexpected demise. In his mind, I was the reason his sister was dead. After all, it was me who brought his enemy back into his life. “I shouted for Allura to get away from Olympus. She could see the king losing his focus. She ran, but he caught her before she turned the corridor’s corner, striking the ground in front of her. I chased after them witnessing his irrational rage. “My king gazed at me with anger boiling. He accused me of being disloyal. I felt a slow burning bubble inside me as he unleashed more hurtful words, accusations. My chest began to rapidly move, in and out, and up and down. I couldn’t control the tremors of my body. I no longer felt like myself.